To facilitate an open ecosystem, OpenDaylight was structured with an open source license, open design, development and contribution model and finally, an, appropriate, open governance model. OpenDaylight is open to anyone. Anyone can develop and contribute code, get elected to the Technical Steering Committee, or help steer the project forward in any number of ways. Developers who are elected to the Technical Steering Committee or who participate as project leaders will provide leadership regarding the technical direction of OpenDaylight. Learn more about TSC member selection, governance, and activities. Abhijit is the TSC Chair for OpenDaylight. He is Principal Architect / Software Director in Ericsson. Abhijit is the TSC Chair for OpenDaylight. He is Principal Architect / Software Director in Ericsson. 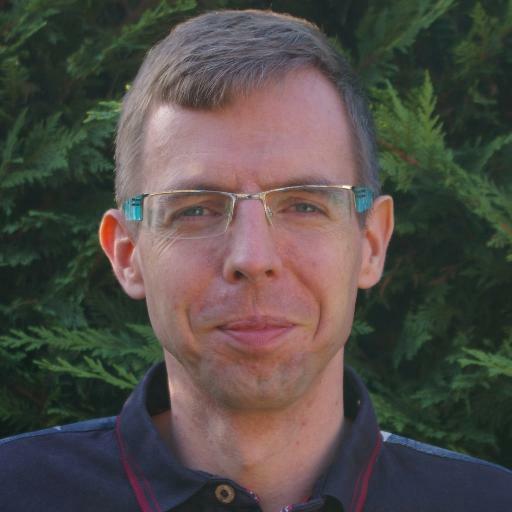 He has been involved in OpenDaylight since its inception and has been the PTL for the OpenFlow Project. He was also active at the Open Networking Foundation (ONF) where he was a significant contributor to the OpenFlow Table Type Patterns spec. He has extensive experience in networking software development as well as leading teams toward successful outcomes. He is an alumnus of Indian Institute of Technology (IIT), Kharagpur. An Ho is an active contributor to various ODL projects such as the PTL of Unified Secure Channel and committer of NEMO and Armoury. An is passionate about software defined networking, next generation cloud technology, and Internet of Things. An Ho is an active contributor to various ODL projects such as the PTL of Unified Secure Channel and committer of NEMO and Armoury. An is passionate about software defined networking, next generation cloud technology, and Internet of Things. An believes that open industry collaboration in networking and SDN has the potential to produce significant progress and innovation. He currently works at Huawei Technologies in enterprise network technologies, and previously worked at Cisco in the emerging technologies group. An graduated from the Massachusetts Institute of Technology with a Bachelor of Science in Computer Science. 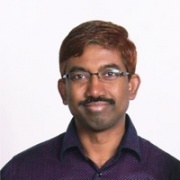 Anil has been serving with the OpenDaylight Release management since 2016 (since Carbon release and ongoing) and an active contributor to the LF release repositories. 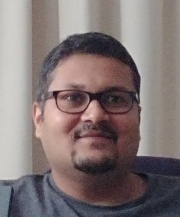 Anil has been serving with the OpenDaylight Release management since 2016 (since Carbon release and ongoing) and an active contributor to the LF release repositories. He works closely with the developer community supporting projects, timely releases and also assisting with some infra maintenance. He started his career with experimenting with Linux since the late 90’s, started working on OpenSource (on MIT Kerberos) with Novell during early 2002. In the past, he’s also worked on domains Security & Identity Management, Networking, Systems engineering with HP and Redhat. He is inclined to learn new technologies and a keen interest in the area of security and deep learning. Anil Vishnoi is a Principal Software Engineer at Lumina Networks, US. He has been an active participant in OpenDaylight community and associated with it since the inception of the project. Anil Vishnoi is a Principal Software Engineer at Lumina Networks, US. He has been an active participant in OpenDaylight community and associated with it since the inception of the project. He is an active contributor to the number of OpenDaylight projects including the OpenDaylight Controller, OpenFlow Plugin, OVSDB & Net-Virt project. His contributions to the projects are spread across various technology like network virtualization, clustering, southbound device management and NFV use cases. Prior to joining Lumina Networks, Anil worked with Brocade & IBM Research (prior to Brocade). In his prior roles, he was mainly conducting research in SDN & Cloud technology domain for more than half a decade. His research work can be found here (https://scholar.google.com/citations?user=Y0iwRTYAAAAJ&hl=en ). He is passionate about disruptive networking technologies and prefers to contribute to these technologies in Open Source way. He has masters in computer engineering from Birla Institute of Technology and Science, Pilani-India​. 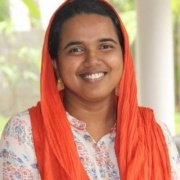 Faseela is a Technical Lead in the SDN Controller group at Ericsson R&D, and is an active participant of Ericsson contributions to the OpenDaylight community. Faseela is a Technical Lead in the SDN Controller group at Ericsson R&D, and is an active participant of Ericsson contributions to the OpenDaylight community. She is a member of the team driving SDN solutions, architecture, design, and product development on the Ericsson Cloud SDN Controller based on OpenDaylight platform. Faseela joined OpenDaylight Community in 2014 and has been actively contributing to several of the projects since then. Faseela is passionate about Software Defined Networks, Machine Learning and Internet of Things. Faseela started her journey in OpenDaylight with the vpnservice project, which further got split into GENIUS and Netvirt, where she eventually took up the responsibility of the GENIUS PTL role. Faseela is also an active contributor to several other OpenDaylight projects.As the PTL of GENIUS, Faseela always tries to improve the quality of the services provided by GENIUS for all applications, and tries to improve the overall delivery of the project by giving constant support to the problems faced by users. Faseela is a mentor at the LFN Internships, also she coaches a lot of new comers including students to get started on OpenDaylight. Faseela has been a speaker on various SDN, OpenFlow, Containers related topics at forums including ONS, MPLS & SDN World Congress, Opendaylight Summit, ODL Forum, OpenSource Summit etc. She has also successfully conducted several workshops based on Opendaylight at GraceHopper Conference, ODL Forum India etc, with the aim of getting more traction for OpenDaylight among Networking Companies. She has also been visiting universities in India to give presentations on OpenDaylight and inform students about the various opportunities they have in OpenDaylight including internship opportunities. My entire career to date (17 years via Cisco, HP and currently Red Hat) has been in the networking industry exclusively in system test. I work remotely from Sacramento, CA. I was able to start work with SDN technologies in 2013. My entire career to date (17 years via Cisco, HP and currently Red Hat) has been in the networking industry exclusively in system test. I work remotely from Sacramento, CA. I was able to start work with SDN technologies in 2013. In the summer of 2014, I joined the OpenDaylight community and have enjoyed the experience immensely. Initially I focused on the openflowplugin project, but since have spent more cycles in the ovsdb and netvirt projects. 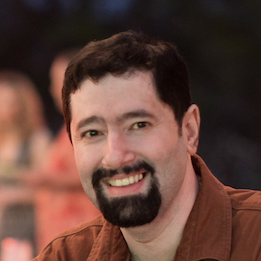 Luis Gomez is a Principal Test Engineer in the Open Source Software group at Lumina Networks and has led the Integration Group in OpenDaylight since its creation. 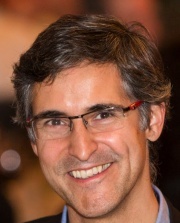 Luis Gomez is a Principal Test Engineer in the Open Source Software group at Lumina Networks and has led the Integration Group in OpenDaylight since its creation. Previously, he was a Staff Solution Integration Engineer at Ericsson where he spent more than a decade integrating and testing service provider networks including mobile, broadband and transport solutions. Luis has a Master in Telecommunications Engineering -Radio and Transmission- from Polytechnic University of Madrid and he is passionate about the people and the values of the OpenDaylight and broader open source community. My current day job since April 2016 is with Red Hat, the world's leading provider of open source solutions. I currently live in my native country Switzerland, where I studied Computer Science at the Federal Institute of Technology (EPFL). My current day job since April 2016 is with Red Hat, the world’s leading provider of open source solutions. My previous day job was 10 years with TEMENOS The Banking Software Company (by way of the Odyssey Financial Technologies acquisition), where I was the Product Manager looking after all things related to Eclipse-based tooling. In 2006 I had a great year with a group called IPT. Earlier I helped build an enterprise software company called Vertical*i in Lausanne and New York for 5 years, where I quit as CTO in late 2005. Before that, I have worked at Cisco Systems in San Jose, California and at ABACUS Research in my home town of St.Gallen. Prem Sankar Gopannan brings two decades of experience to bear as Lumina Networks’ Director of Engineering. Prem Sankar Gopannan brings two decades of experience to bear as Lumina Networks’ Director of Engineering. At Lumina, he leads 5G product strategy where he leverages his open source expertise. Previous to his role at Lumina, Prem managed SDN product strategy focusing on cloud native architecture and product delivery within cloud and networking domains. An active evangelist of Microservices and SDN/Telco/Edge Cloud architectures, Prem is commonly found leading Cloud Native NF and Kubernetes sessions and workshops. His engagement includes opensource summits, Opendaylight, OPNFV, Intel SDN/NFV developer labs and Open networking summits, extends digitally through his technology microblog, http://twitter.com/premsankar. Robert has been involved in OpenDaylight from its start, having co-authored the MD-SAL architecture and designing major portions of its implementation. He is the overall top contributor on OpenDaylight and has contributed ~13% of all patches merged, touching majority of projects. He is a committer of a wide range of projects — odlparent, yangtools, mdsal, bgpcep, tcpmd5, vbd, infrautils and coretutorials. His contributions tend to center around maven build system, overall architecture and high-level design (BGP, PCEP, OpenFlow Boron design, Virtual Bridge Domain), performance/stability-critical pieces of infrastructure and high availability. Examples of past contributions include the in-memory datastore, which boasts 100x performance advantage over available YANG-based datastores, and BGP and PCEP implementations, which offer performance on-par with leading routers and are now being extended to full feature parity by 3 companies working in the OpenDaylight community. His latest area of focus is Clustered Data Store, where he contributes to improving reliability and throughput and groundwork needed for in-service cluster upgrades. His past experience includes 5 years in IT operations and 18 years of building network-related technologies, ranging from simple network elements to self-organizing distributed systems. In the past 10 years in his capacity as CTO of Pantheon Technologies its growth to 120+ engineers. I am a Senior Principal Engineer in the Office of Technology at Red Hat, Inc. I have been involved with OpenDaylight since the first release as a PTL or committer on various projects. I am a Senior Principal Engineer in the Office of Technology at Red Hat, Inc. I have been involved with OpenDaylight since the first release as a PTL or committer on various projects. Previous experience includes leading the software development at Extreme Networks adding OpenFlow to their line of switches and a variety of technologies at Cisco Systems from creating the first SIP IP phones to adding Bluetooth and VPN capabilities to mobile routers to implementing H.264/AVC video conferencing on Android-based tablets. I've been a professional developer for twenty years. I started my networking career at 3Com in the UK at the turn of the century, working on QoS and network configuration automation, before going into consulting as a Java and Maven expert in France for many years. I’ve been a professional developer for twenty years. I started my networking career at 3Com in the UK at the turn of the century, working on QoS and network configuration automation, before going into consulting as a Java and Maven expert in France for many years. I joined Red Hat in 2015 to work full time on OpenDaylight. I’ve been involved in open source / free software for a long time; I think my first patch was to lynx in 1995. I’m a Debian developer, and I have contributed code to quite a few different open source projects. As a Release Engineer working on OpenDaylight, Thanh is responsible for helping manage the CI infrastructure as well as doing release engineering work for ODL projects. As a Release Engineer working on OpenDaylight, Thanh is responsible for helping manage the CI infrastructure as well as doing release engineering work for ODL projects. He is a Project Lead for the autorelease project and contributor to numerous ODL projects. Prior to joining the OpenDaylight project, Thanh was a Release Engineer at the Eclipse Foundation working on the Common Build Infrastructure (CBI) and helped various Eclipse projects migrate their builds over to CBI including the Eclipse Platform Project. Thanh holds a Bachelor of Information Technology – Network Technology degree from Carleton University.